To best understand the direction we need to go as a culture, it’s helpful to reflect on our history. In this first module we’ll explore the history of healing, the role of Herbalism presently as well as it’s great future importance. One key question to start with is “what is medicine?” Is it a chemical that removes a symptom, a food that nourishes, or a state of right relationship? We’ll cover this along with many essential herbal remedies such as the familiar Red Clover, the legendary Chaga Mushroom, and the Queen of the Meadow, Achillea Mellefolium (more commonly known as Yarrow). Lesson Four of this module focusses on beginning the study of“how the body works” through the lens of Holistic Anatomy. It also includes a unique introduction to the language of the herbalist via Robert Roger’s Key Actions and Properties section, You will find two audio classes and of course the essential documentary film Our Common Roots - Unveiling Our Global Traditions of Healing with Plants. Note: If you wish to gain a certificate of completion we request that you fill out the questions that accompany the textbook of Lesson Four and email them back to us for review. Topics: A film unveiling our global traditions of healing with plants. Reconnecting with the intelligence of the plant kingdom, and our global healing traditions might just be the most rewarding investment we can make - not only for ourselves, but also for our planet, and all future generations. The film is a blend of nature, music, narration and on location plant walks covering over 35 healing plants and the holistic philosophy behind their use. Health and vitality can be achieved through integrating the best of both modern and traditional methods. A production by Boreal Night Films. Topics: Explore the history of herbal medicine, the rise of the modern chemical/surgery model of medicine and the loss of our ancestral traditions of healing. 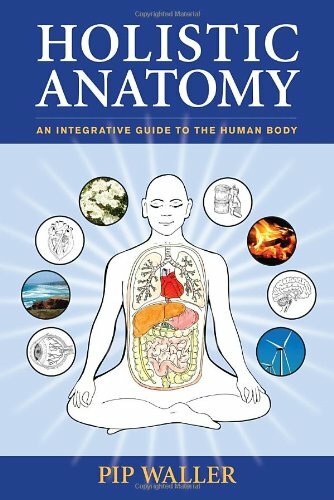 This section is based on the book Holistic Anatomy by Pip Waller which presents an authoritative study of anatomy, physiology, and pathology but expands the discussion by connecting the science of the body to a variety of alternative modalities to explore how human beings exist within—and interact with—their environment, and how they experience existence in emotional and spiritual terms. This questionnaire is based on Chapters 8 to 12 and is required to be submitted to us for your Completion Certificate. We will review your submission and retain on file for consideration of issuing a Certificate of Completion. Please feel free to contact us at admin@ourcommonroots.com if you have any questions! In order for herbalists to converse and think about plant energetics, it is important to have a common groundwork of definitions. PART ONE: Chad Cornell Interview excerpt with Dr. Terry Willard. Terry Willard, Cl.H., Ph.D. is recognized as one of North America’s leading Clinical Herbalists. He currently serves as the President of the Alberta Association of Herbal Practitioners, on the Canadian Council of Herbalist Associations and is a professional member of the American Herbalist Guild. In this module we will explore some essentials in natural healing such as; seeing the body as an ecosystem, the role of Vital Energy or Qi and the true potential of sound health. This module introduces a detailed look at the elements of earth, water, fire, air, and ether, as well as how we're literally made up of a balance of them all.